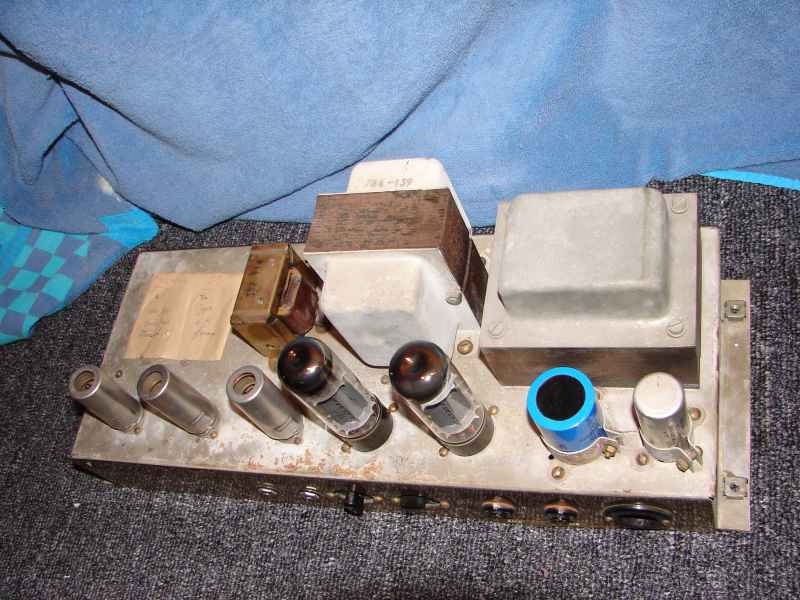 It’s important to note that while those recognizable aesthetic features such as markings on the front and back panels or the nicknames that were coined for such amps in recent years may serve to help identifying amps of certain eras, they are not factual indication of the circuit or specs in a particular amplifier. 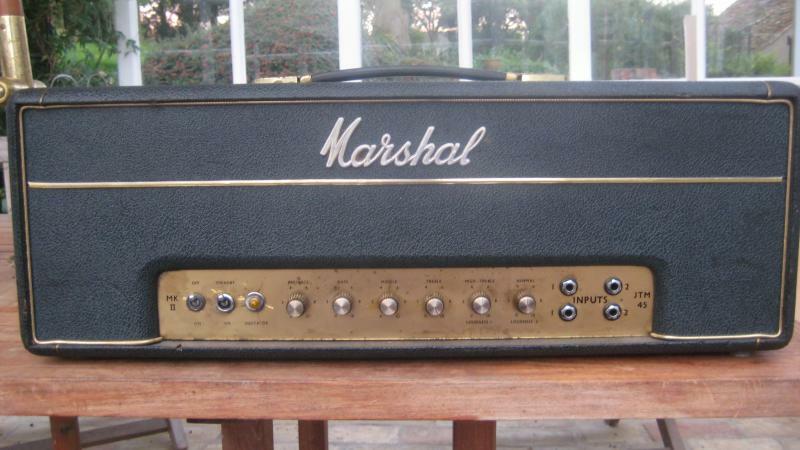 Marshall was still very inconsistent back then and spec changes happened gradually, or probably depended on whether or not they still had certain components in stock. 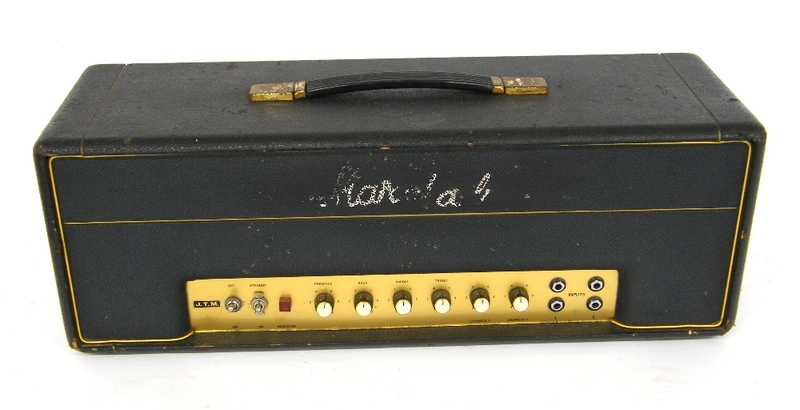 At some point, Marshall started to offer 3 versions of the JTM45 – Lead, Bass and PA. The difference between them were minimal – a few capacitors or resistors maybe. Other models were introduced later. 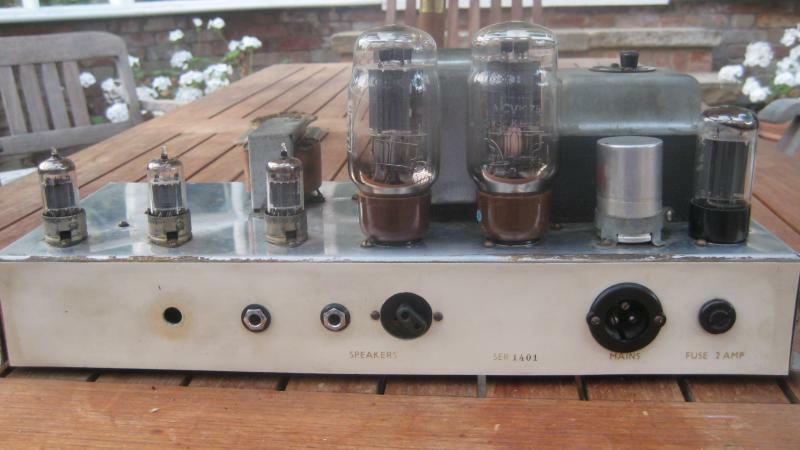 The amps initially had 5881 power tubes. If not available, 6L6s were used. By 1964, they were changed to KT66s. All of them had the GZ34 rectifier tube. 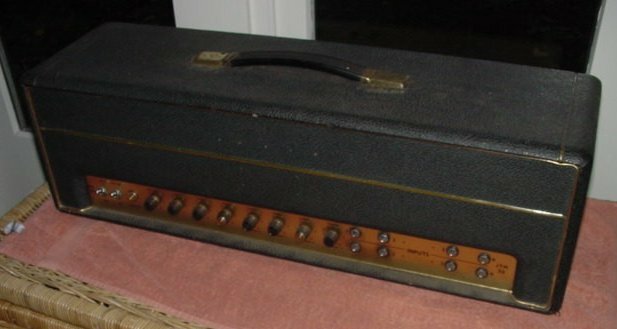 In 1965, the combo amps (known as Bluesbreaker amps) were introduced. This prompted Marshall to start designating model numbers to keep track of all the models they were producing. They were all still part of the JTM series. 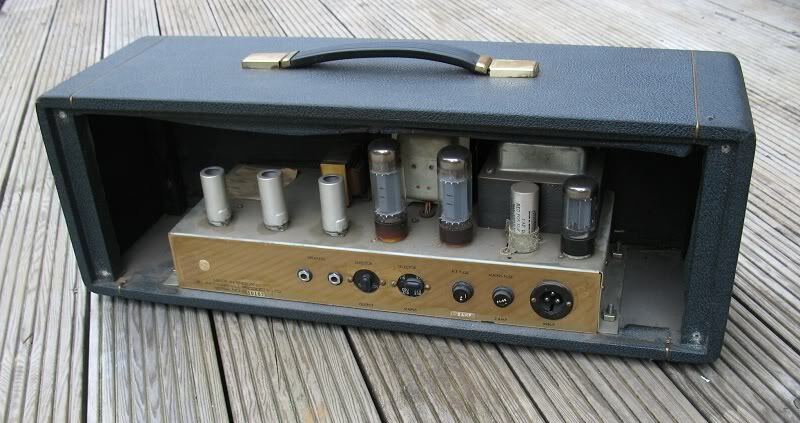 By early ’66 some amps, notably the PAs, began to be called JTM50s instead, probably due to marketing strategies and improvements in the transformer specifications and the resistors used. 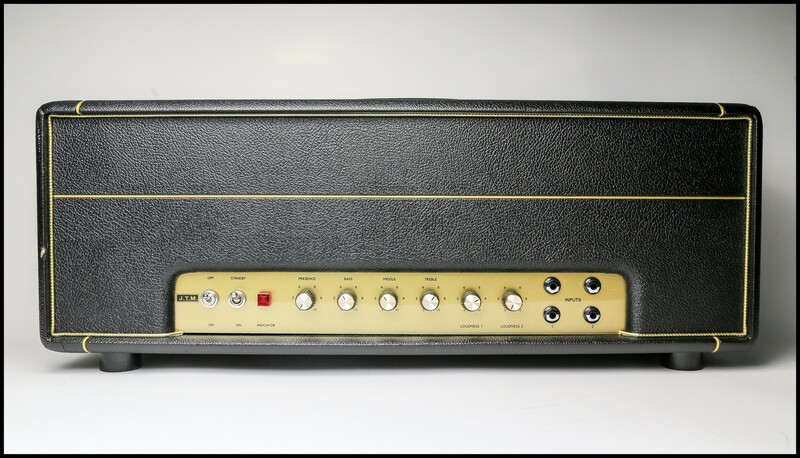 Change to EL34s took place around 1966, because they were more plentiful and cheaper – at which point all the amps were rated at 50w and justified the new name. 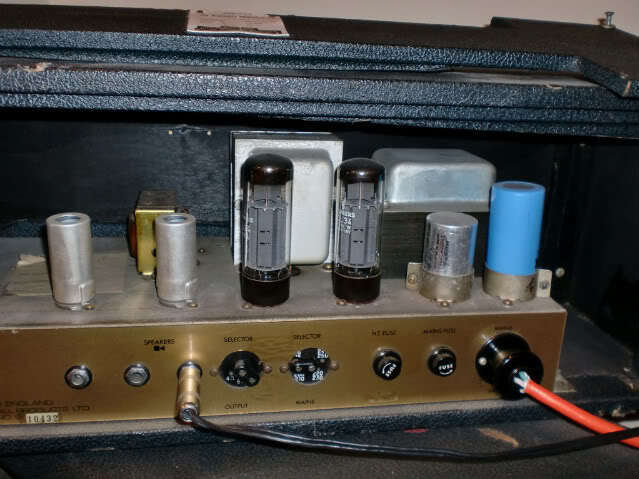 The small spec changes and the switch to EL34s made these early 50w amps brighter and more aggressive than the early JTM45s, but the GZ34 rectifier tube still made them retain some of the ‘softer’ response. 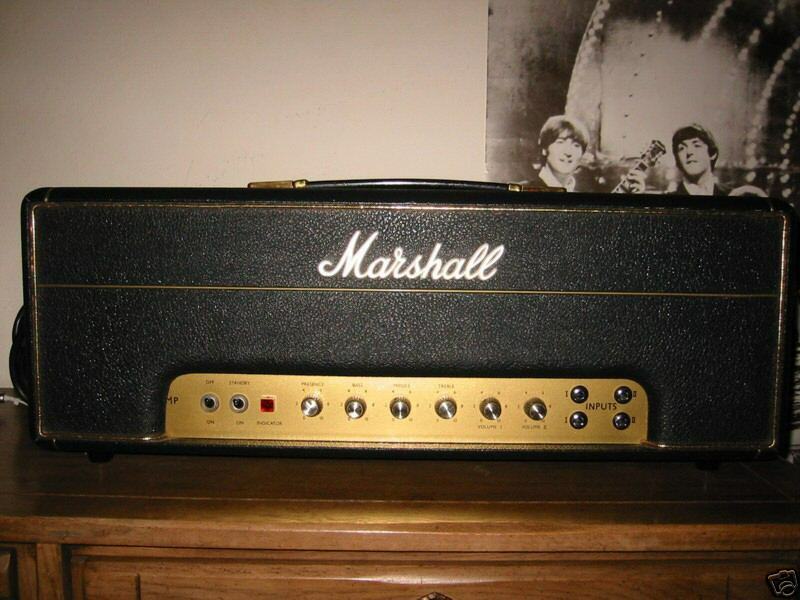 During the development of the 100w amps, Marshall decided that the GZ34 rectifier tube wasn’t necessary. The first 100w heads were already made with solid state rectifier. This practice was to be adopted in the 50w amps later on. 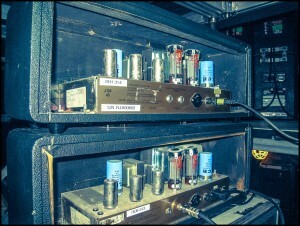 During this period, a Black Flag JTM50 could either have the GZ34 tube or be SS rectified. 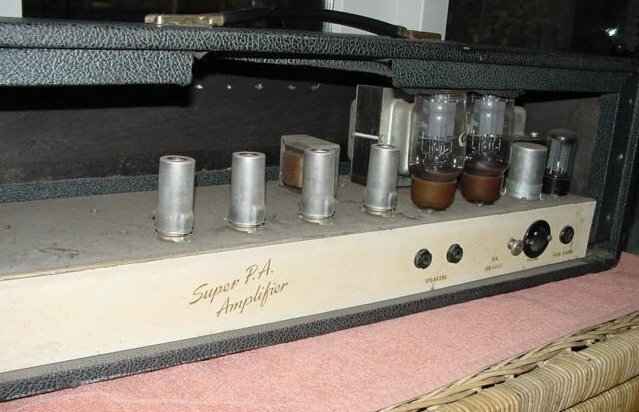 It wasn’t until later in 1967 that all the amps were SS rectified. SS rectifier give these amps a tighter and faster response. Soon after, in 1968, the Black Flag marking was replaced by JMP, which stands for Jim Marshall Products. Also during this period, the 1987 Lead and 1959 Super Lead model circuits were updated. Shared cathode was replaced with split cathode and the tone stack was changed, among other things. 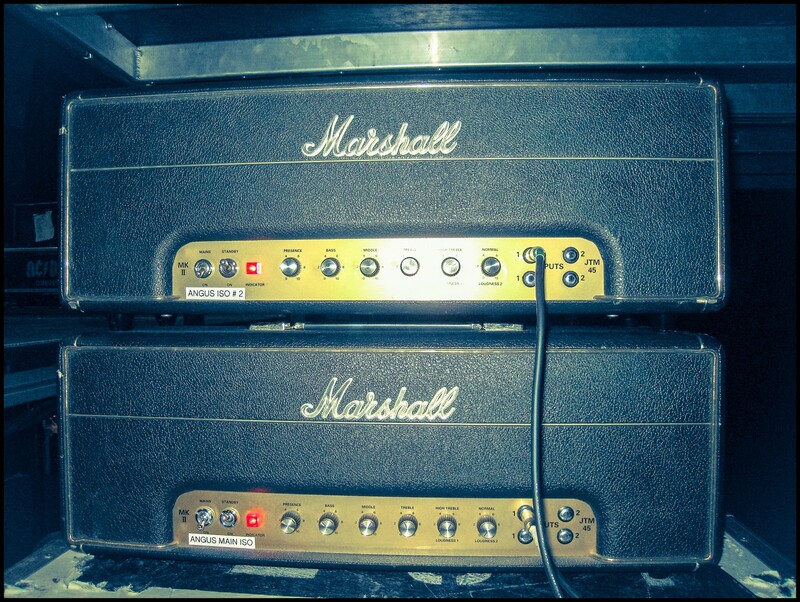 These changes made the Lead amps a lot more midrangy and biting. 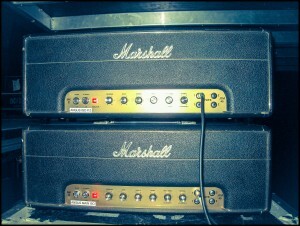 These became what we know today as the classic Marshall rock amps. 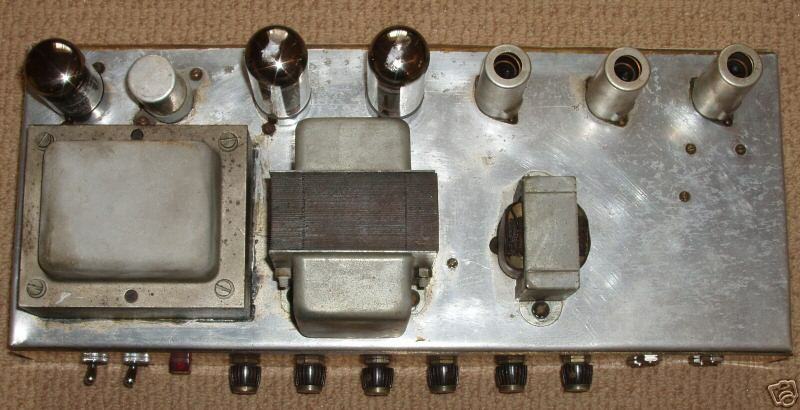 The other Models, namely the 1986 Bass and 1992 Super Bass, retained their original circuit with EL34s and SS rectifier even after the change to the JMP era, but because component tolerances and other spec changes took place throughout the years, especially concerning power and output transformers, their tone also would change slightly. – Bright cap on Vol I (on 1987 Lead model). Even though the JMP version seems to be more popular, the Black Flag JTM50 certainly has its place in the history of Rock ‘n’ Roll. And to close this, an addendum from Fil. 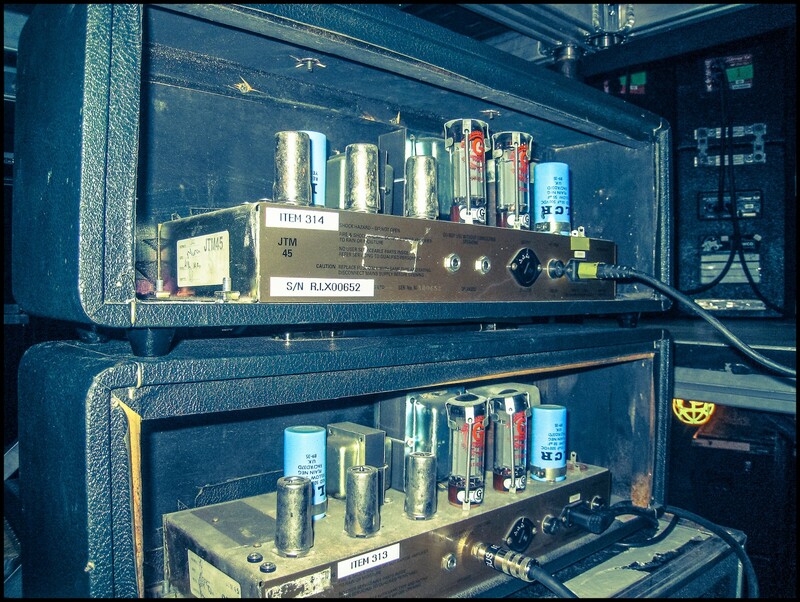 Shown here, a few Angus Young’s (of AC/DC) own JTM50s. It’s a JTM50, not a JTM45. And we have to stress once again that Black Flags do NOT have KT66s. 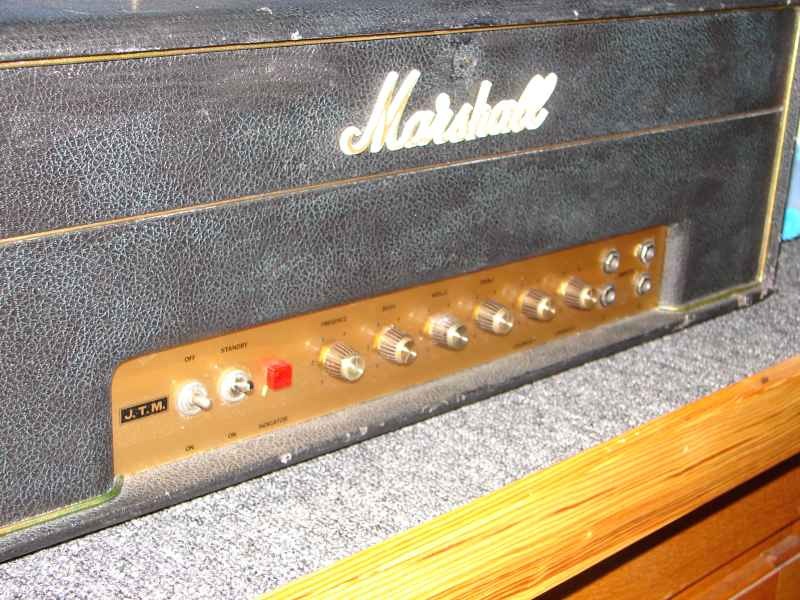 As explained earlier, Marshall switched to EL34s in ’66 and the Black Flags only appeared in ’67. Look closely at the power tube/rectifier configuration. Despite what was always believed – and precisely – that these were JTM45, our research (and pictorial evidence) has shown that these were always JTM50s. These, particularly (shown), were two reissue JTM45s that were used as a cheap and convenient way for AC/DC to carve JTM50s out of them. Older and original JTM50s of Angus’ have been seen previously in older pictures (shown above). These were for live use. 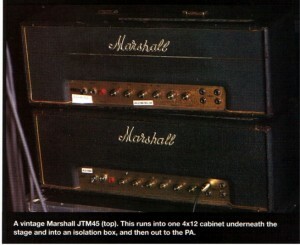 The only JTM45s in authentic JTM45 configuration were used on Ballbreaker and Stiff Upper Lip. For all the rest of the work, since Highway To Hell in 1979, JTM50s were always used. Note: Pictures taken from the internet for illustration purposes only. If you own any of those pictures and do not want them featured here, please contact us and they will be removed. Very curious- the last pic with the reissue 45’s have what look to be two 1/8″ mini-jacks near V1. Seem to indicate a mod for audio out from somewhere in the preamp section, probably one out for each side of V1 since it’s shared cathode in a JTM 45. Makes you wonder if they were used for slaving another amp or a feed for the mixer or what.